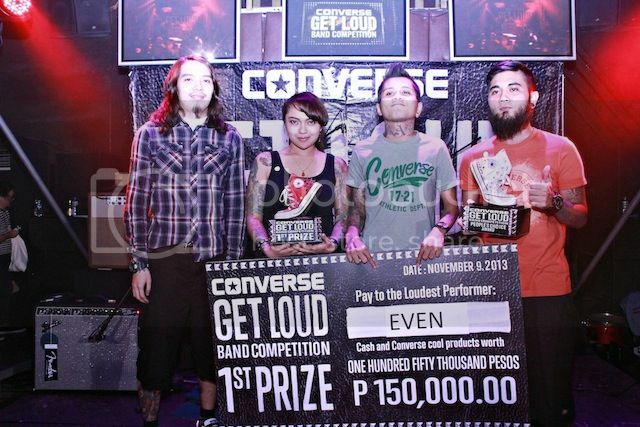 Converse 'Get Loud' Band Competition Announces EVEN as Grand Winner! 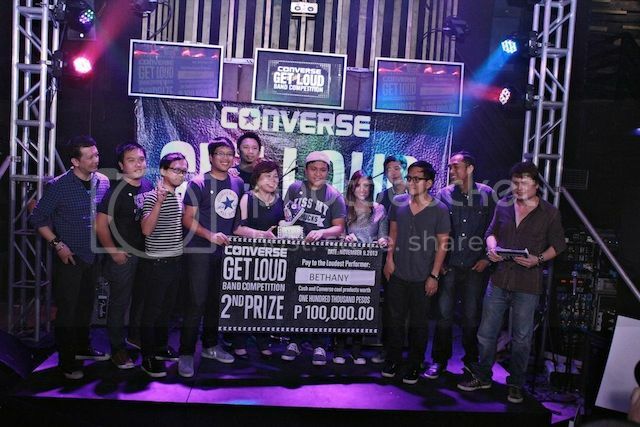 There were tons of people who attended the recent CONVERSE Get Loud event in Tomas Morato last weekend and it was the finals. Bands from various regions throughout the country converged in Excess Superclub - Quezon City to play for the last time and see who's going to top each other in this search for the band that would best represent the brand. To say that it was intense was an understatement. Bands lashed out their originals to impress judges present that evening. 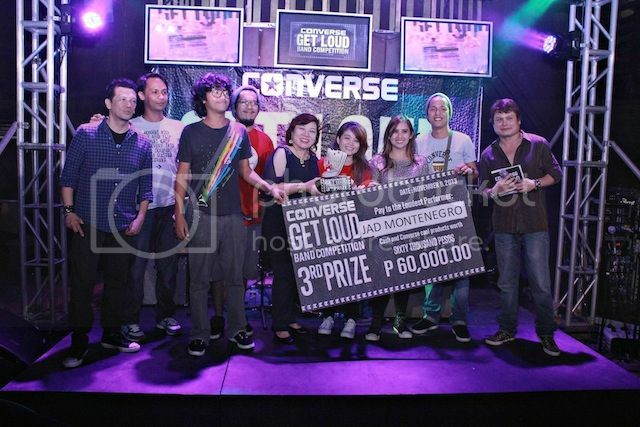 Artist Ebe Dencel, Converse Philippines’ Sales Director Dan Mindanao, Francis “Brew” Reyes, Mark Laccay and John Hendrix did the handy work in choosing who's going to win the coveted prize. In the end they announced the winners: Bethany from the Visayas placed first runner-up, Jad Montenegro from Mindanao seeded second runner-up, Brisom from National Capital Region third runner-up and Kissbone from South Luzon placed fourth runner-up. The Grand Prize was won by the band EVEN. 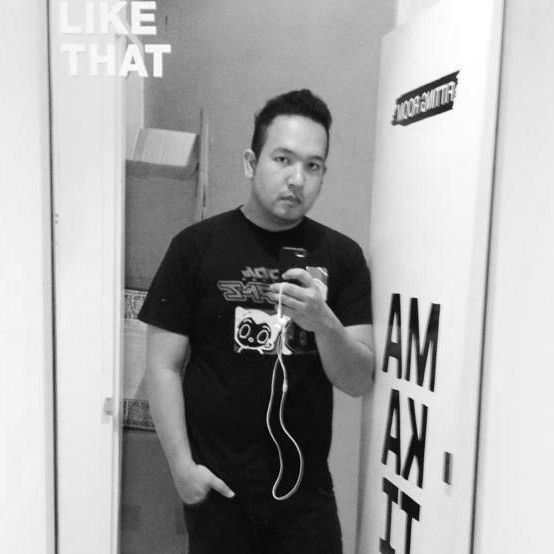 They garnered the highest points and social media likes right off the bat. Ebe Dancel even laments that the band was really tight and adds that it’s nice to see musicians take advantage of the technology. Ultimately using it real well with the song they entered into the competition. 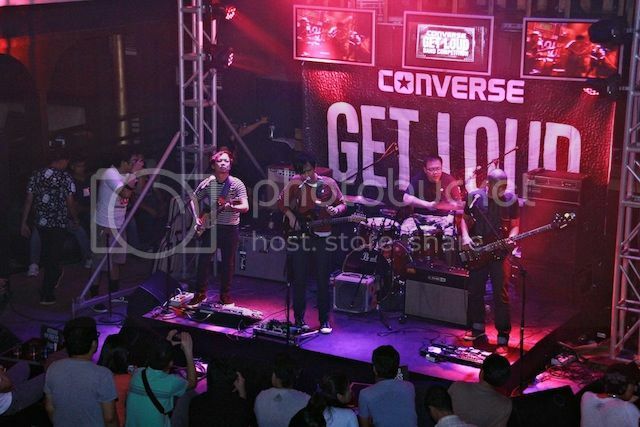 They all dedicated it to their home town and the northeners saying they are so proud to have represented the region and the Philippines through CONVERSE. They've definitely made a name for themselves now and it's time to walk the talk by making sure everyone understands why "Shoes are boring" and why we should "Wear Sneakers" on a good night. Congratulations EVEN! Make your country proud! 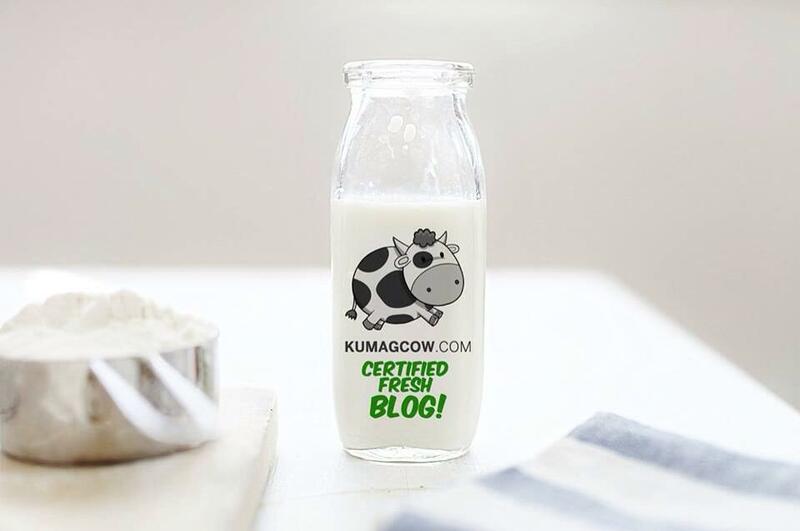 This is a start of even BIGGER opportunities ahead of you!